Republic of Azerbaijan is a country in the Transcaucasia region, situated at the crossroads of Southwest Asia and Southeastern Europe. It is bounded by the Caspian Sea to the east, Russia to the north, Georgia to the northwest, Armenia to the west and Iran to the south. The exclave of Nakhchivan is bounded by Armenia to the north and east, Iran to the south and west, while having a short border with Turkey in the North West. Baku, the Azerbaijani capital, is a fascinating city, where East and West blend seamlessly. The city is developing at a very fast pace and is a modern and cosmopolitan city. Of particular interest is the Old City, enclosed within the fortress walls, or Icheri Sheher (Inner City). This open-air museum, together with the famous Maiden Tower (from 12th century) located here is listed in the UNESCO World Heritage List. Among the modern hallmarks of Baku one can distinguish the magnificent building complex Flame Towers and the sports and leisure complex Crystal Hall. There is plenty to see and experience in this intriguing city. 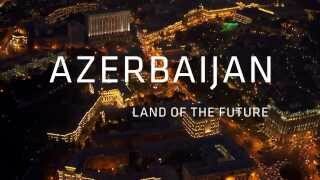 Liberty Azerbaijan (L.I TRAVEL LLC) was established in January of 2015. Our goal has always been to provide client companies with comprehensive, high quality travel and M.I.C.E services while also maximizing the value of their travel budgets. We strive to combine first-class service within the country with the travel industry's most progressive technologies and services. Throughout our continuous growth, we invested wisely in the staff and technologies that enable us to deliver the services you require. Our broad capabilities mean we have the bandwidth to support just about any customer needs now- and in the future. Our programs are customized for each customer. Liberty Azerbaijan has become a specialist in all tourism related services including custom-made tours, and incentives as well as special interest arrangements. Our sphere of operations is predominantly in Azerbaijan and we also cover other near countries of the region such as Georgia, Central Asia and Iran. We create and operated incentive programs which surprised and excited the most hard-to-please clients. Languages spoken at the office: Azerbaijani, English, Turkish, Russian.